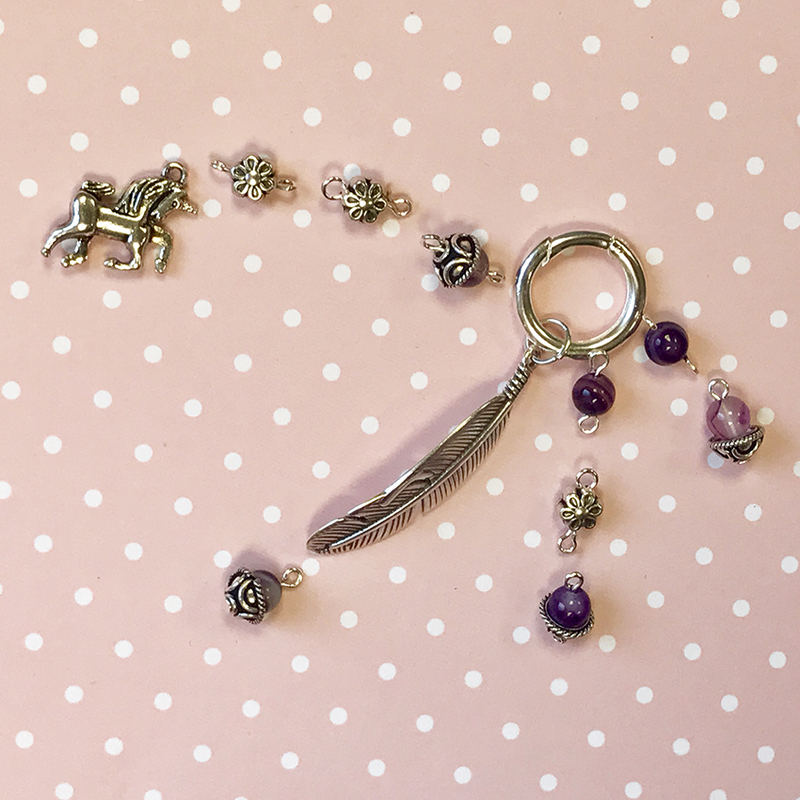 Brighten up your boring keys with a pretty key ring made with agate beads, flower beads and a beautiful unicorn and feather charm! 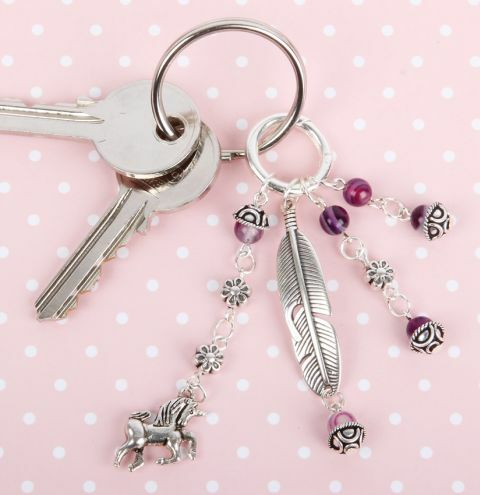 Take a 6mm jumpring and attach your feather charm to the lever split ring. Take headpin and slide on a bead cap and a 6mm striped agate bead. Turn a loop. Make two more with headpins and one with an eyepin so that you have a loop either side. 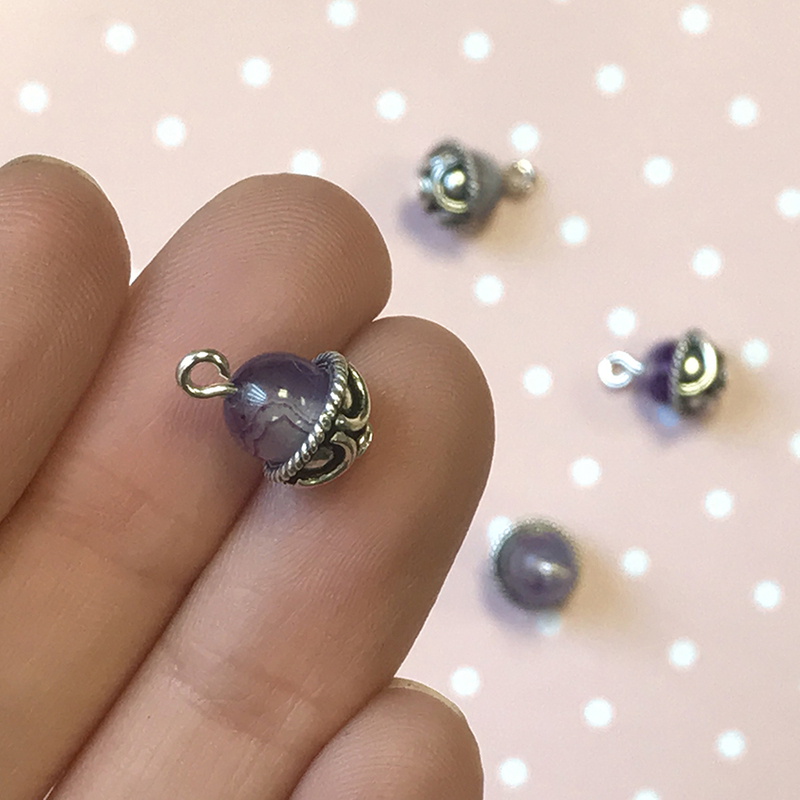 Turn a loop with an eyepin for three of your flower beads and so the same for two agate beads (without caps). Lay your beads beads as below and connect them all together. 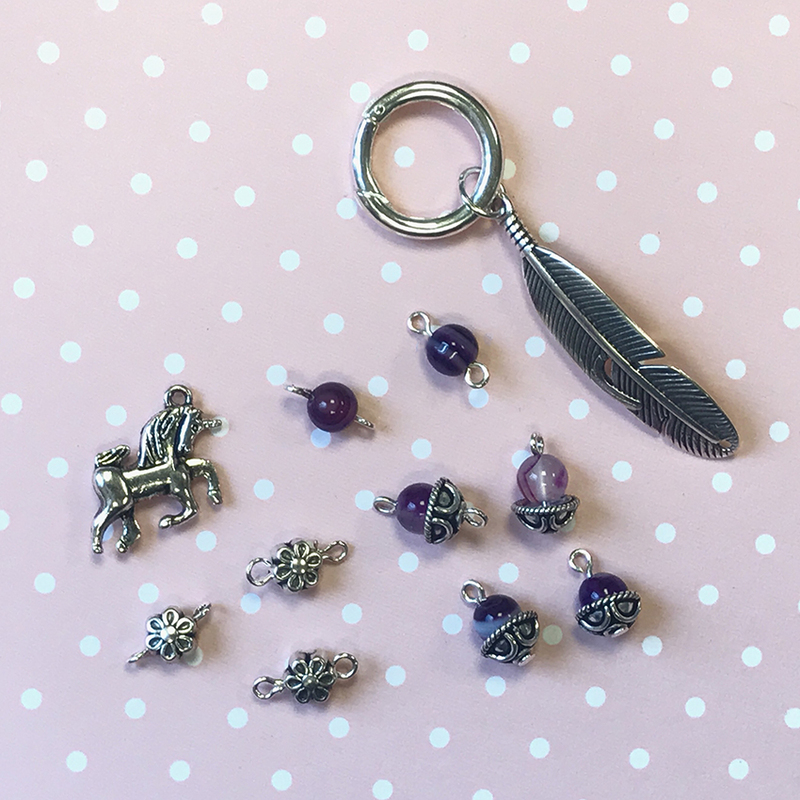 Use 4mm jumprings in between the beads and a 6mm jumpring to attach them to the level clasp.